When I became a newly minted fiancée in January of this year, my first thoughts weren’t of a potential wedding location, or even The Dress. If I’m being truly honest, I was already dreaming about my perfect wedding fragrance. I’m a little biased here being a fragrance obsessive and all, but there’s no denying the mnemonic power of scent. Long after the flowers have wilted and your bridal trousseau gets carefully packed away, your special fragrance will become your little daily reminder, transporting you right back to that wonderful day with every spritz. Love Story is Chloe’s ode to the enduring magic of the city of love, Paris. I mean, the bottle is even shaped like one of the love locks on the Pont des Arts bridge – could you get any more romantic? The uplifting orange blossom aroma is velvety and caressing, with a sensuous twist from musk and woods in the base. Elegant, feminine and so very memorable, you’ll love to revisit this future classic every time you want to remember the happiness of your special day. Try the Eau de Parfum concentration for a more seductive and long-lasting take on the scent, or plump for the Eau de Toilette if you’d prefer things to be as bright and dewy as your wedding bouquet. 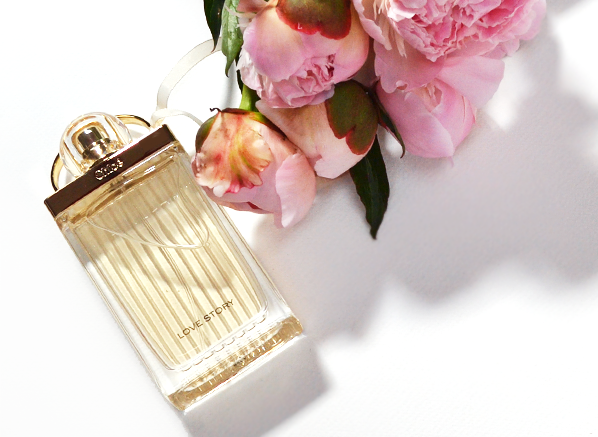 If there was ever a fragrance made for a bride, it’s this one. Vera Wang is the grand doyenne of bridal designers, creating bespoke wedding dresses for stylish women including Victoria Beckham, Lily Aldridge and Jennifer Garner. Her eponymous fragrance is an homage to a life-long love of brides, presenting an intimate fragrance that is designed around the composition of a wedding bouquet, to be worn with the airiness of a veil. Heady notes of gardenia and stephanotis mingle with more delicate facets of calla lily and lotus, brushing against the skin with the lightest touch. 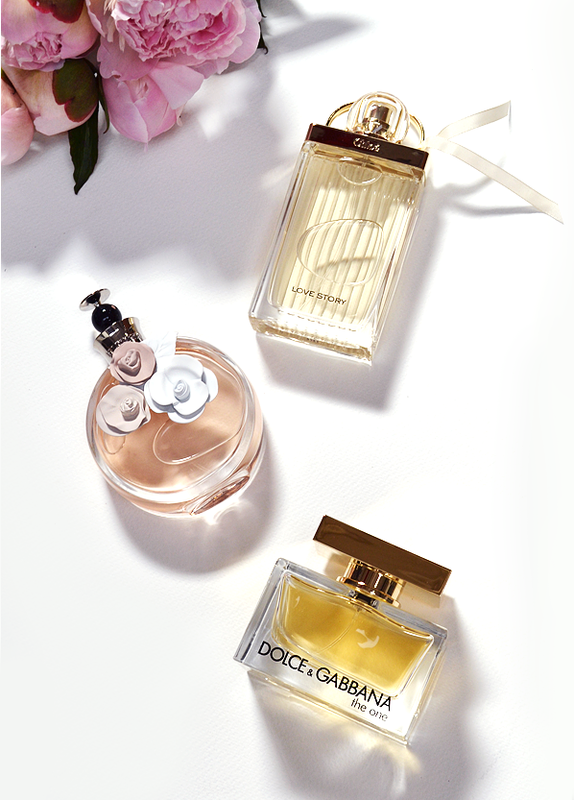 This one’s a keeper – after all, “a bride’s fragrance remains with her long after the ceremony is over.” – Vera Wang. TIP: Try not to choose a limited edition fragrance that will become discontinued after a short amount of time. If you want to repurchase it later down the line to relive your happy memories, you won’t be able to find it! Make like European royalty and attend the wedding in a little Valentino number. I mean, it’s your special day too… right? The most carefree fragrance in the Valentino fragrance collection, Valentina, is an achingly chic floral with a mischievous touch of creamy sweetness from a combination of alba truffle and strawberry. Think timeless romance with a cheeky, modern wink. It’s the perfect fragrance to watch your best friend marry her love of her life – plus, the orange blossom heart note is a match for that of Chloe Love Story, above. Soul sisters forever. If a more subtle scent is your thing, then this ever-so-lovely floral fragrance from L’Occitane will make your heart flutter. The whimsical Cherry Blossom aroma captures an olfactory snapshot of sakura set against an endless clear blue sky. It’s breezy, easy to wear and completely magical, with sparkling facets and a juicy touch of cherry. The best thing is, L’Occitane has made this irresistible scent available in all sorts of formats, from hand cream to body lotion, so you can make your fragrance application a sumptuous ritual. TIP: Apply your fragrance before stepping into your dress, as certain fabrics may stain more easily. So, your little girl is getting married. You’ve got the perfect dress and an eye-catching fascinator to match, but you’re missing one vital ingredient: quite literally, The One. Dolce & Gabbana’s golden scent is warm, floral and indulgent. It’s a little like liquid confidence, with an armful of luxuriant Madonna lilies at its heart, and lighter notes of mouthwatering lychee and mandarin to keep things bright. One spritz of this and you’ll be feeling pretty special. Looking for something a little fresher? Lancome’s utterly joyful Miracle So Magic Eau de Parfum is as elegant and sparkling as a glass of champagne, fizzing and popping with its vibrant signature note of rhubarb. It’s an utterly charming, happy-go-lucky scent that will make you feel lighter than air from early morning preparations through to the late night celebrations – plus, it has a note of clover for an extra dash of good fortune on the big day! TIP: For a little symbolic touch, choose a fragrance that contains the flower associated with your daughter’s birth month, such as iris for February, or rose for June. Want a bespoke wedding fragrance recommendation? Join us on Twitter and challenge us to find your perfect wedding scent! As always excellent service, highly recommended, will use site again ! This entry was posted on Friday, June 17th, 2016 at 1:59 pm and is filed under Fragrance, Special Post. You can follow any responses to this entry through the RSS 2.0 feed. You can skip to the end and leave a response. Pinging is currently not allowed.